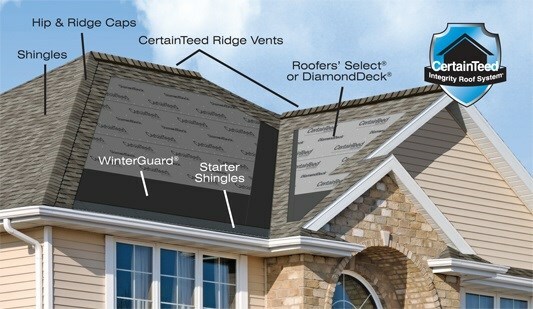 All our roofs come with a Lifetime warranty! 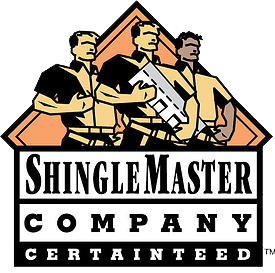 What Does it Mean to be a Select Shingle Applicator? 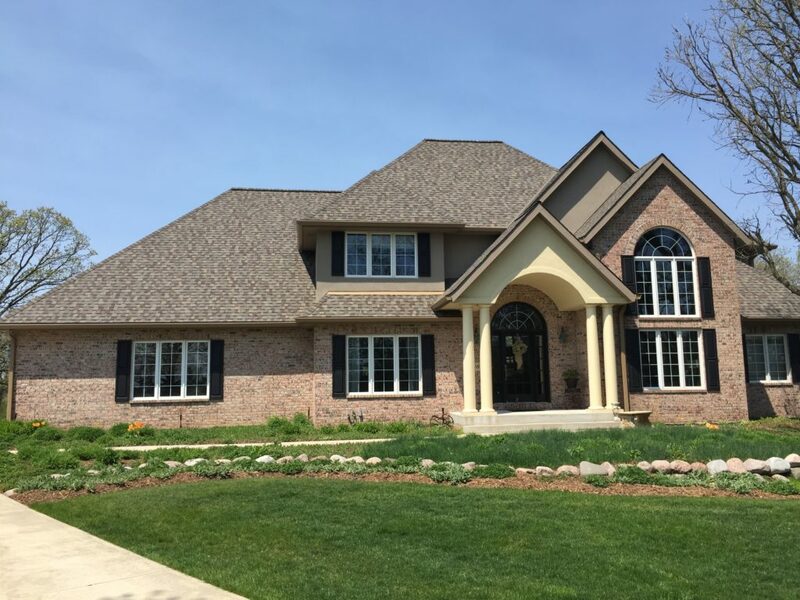 SELECT ShingleMaster™ (SSM) – This is the top level CertainTeed roofing credential, and represents the highest standards of excellence, quality, and knowledge in the shingle roofing industry.We are one of a select few in Waukesha and Milwaukee and surrounding counties. 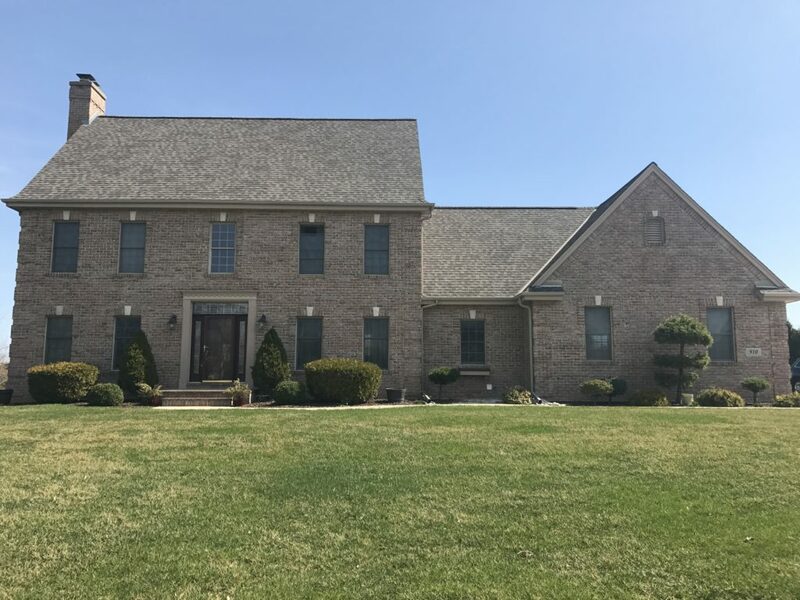 An SSM has shown extensive knowledge of shingle installation and quality through rigorous testing, and have provided CertainTeed with proof of workers’ compensation and liability insurance. 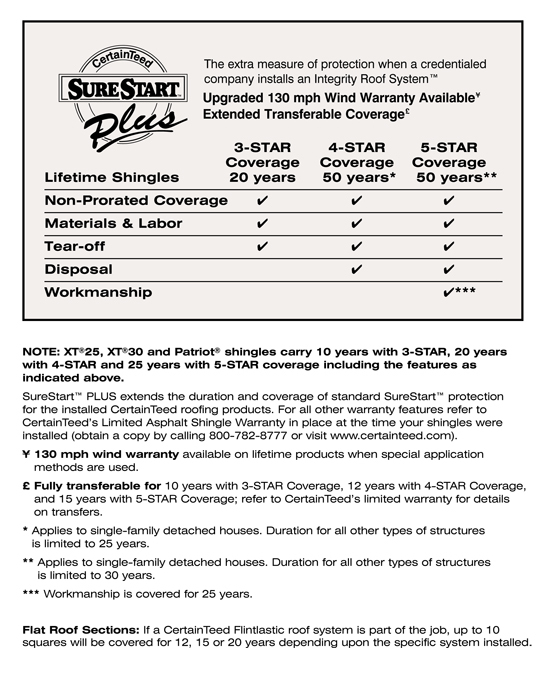 Only an SSM can offer you the highest level of SureStart PLUS™ extended warranty coverage when an Integrity Roof System is installed on your home. Underlayments are designed for use on residential roof decks as a water-resistant layer beneath roofing shingles. We find that Winterguard is an exceptional product for preventing leaks and ice dams on roofs. Here in Wisconsin, this is a must-have product in order to help your roof weather our tough winters. High-performance underlayment provides a water-resistant layer over the roof deck and a secondary barrier against leaks. Roof Runner is the felt that we use the most often and it is a great product. Diamond Deck has slip resistant feature that we would typically use on a steeper pitched roof. Both are excellent products. The purpose of starter shingles is to save both time and money. The first row has to be half the width of a normal shingle. By using a starter, it eliminates the need for trimming down a regular shingle. This will cut down labor time and make your project go much faster. Swift Start is designed to work specifically with the Landmark series of shingles for consistent appearance and performance. 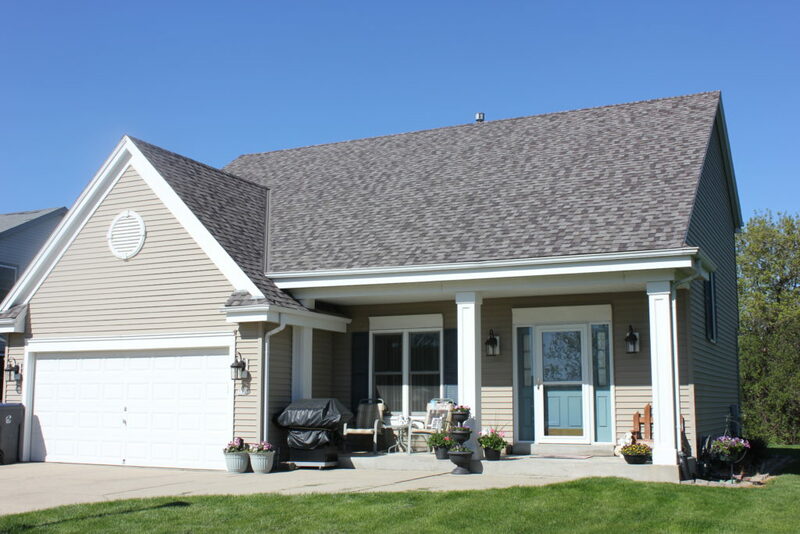 We use high-quality asphalt roofing shingles manufactured by CertainTeed. You will find a wide variety of colors and styles to fit your particular needs. 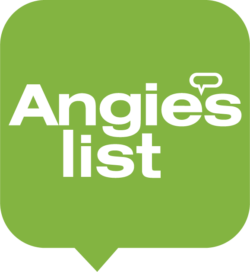 We recommend you choose the best product, covered by the strongest warranty in the business. The two main products that we use are Landmark, and Landmark Pro. We also use Northgate regularly. Which is a product with some better features, but has a very similar look to Landmark. 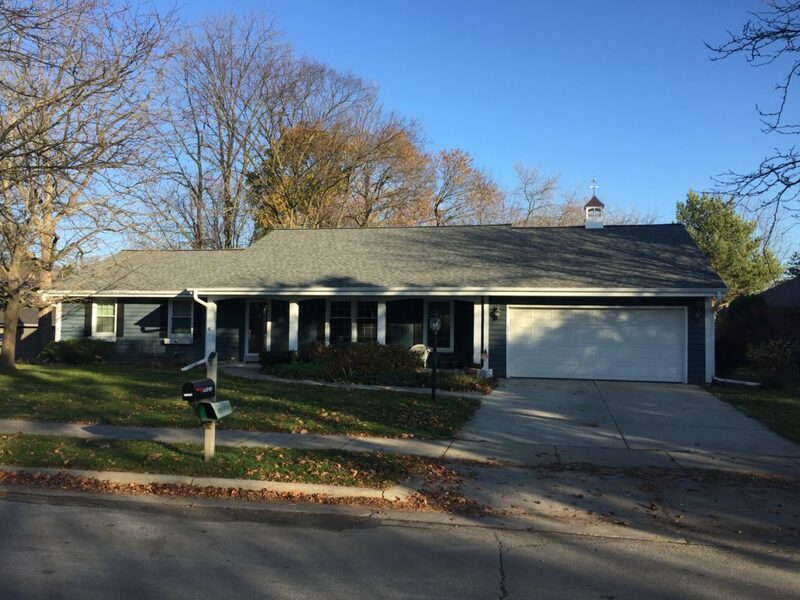 CertainTeed does an excellent job of matching hip and ridge cap to their shingles. Shadow Ridge works great with there Landmark series to give you a perfect finish for hip and ridge lines.